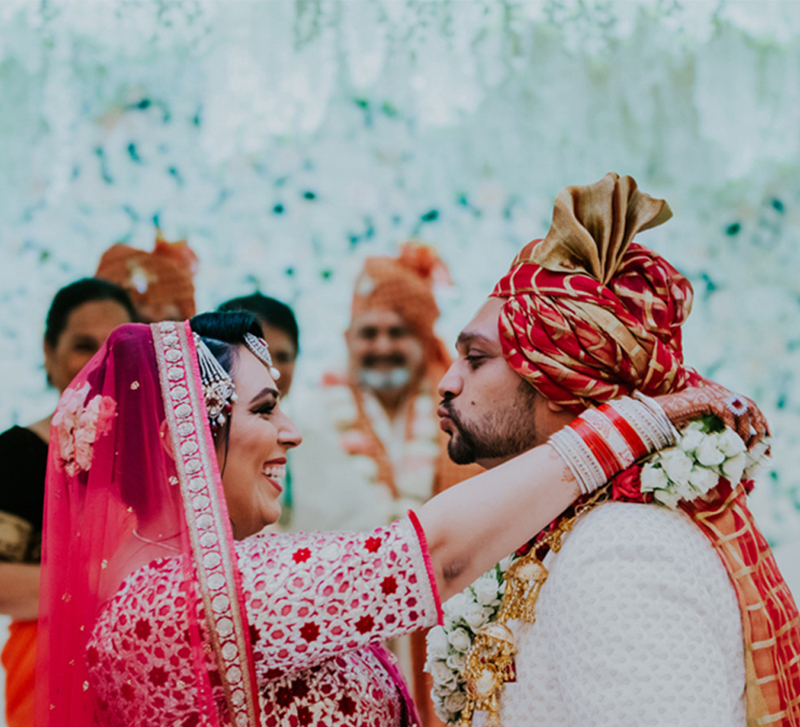 After a beach proposal in California, Rutika and Neeraj tied the knot in Mumbai, and their wedding saw a confluence of guests from around the world, contemporary decor and traditional rituals. Love knows no bounds – not even a 19-hour time difference between two cities on different sides of the world. 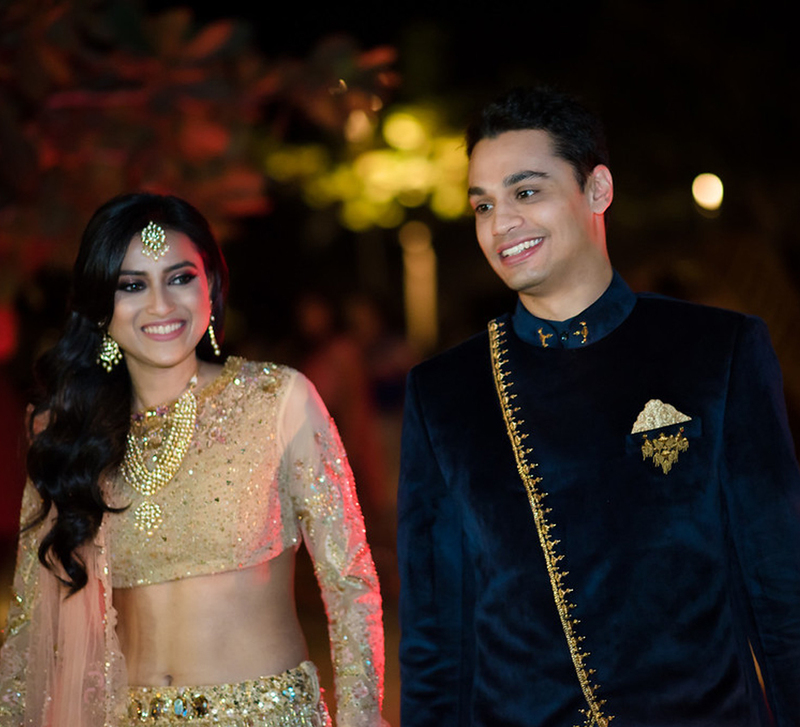 US-based Rutika and Neeraj's long-distance relationship culminated in a lovely wedding in their hometown - Mumbai. 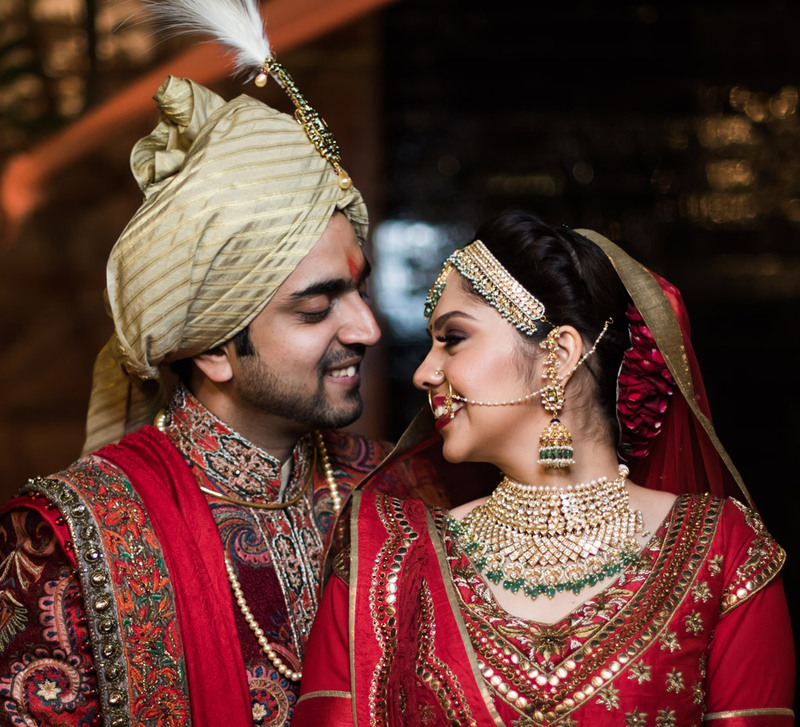 Here, bride Rutika shares highlights and special memories of the celebrations held at The St. Regis Mumbai. "I met Neeraj for the first time on one of my work trips to California. I lived in Sydney back then and was visiting California for a week. I planned to meet him for a day and then spend time with my friends there. But, once we met, we got along so well that we caught up for all the seven days that I was here. Somehow we ended up keeping in touch once I returned to Sydney. One thing led to another, and six months later Neeraj flew to Sydney to tell me that he wanted more and that we could make things work long distance if I felt the same way. I did feel the same way and decided to give it a shot. We dated for a year and sustained a long-distance relationship with a 19-hour time difference between our cities. Soon after, I decided to move to the US for him. Once I moved there, we moved in together and then it was just a matter of time when he would pop the question." "One weekend, he planned this surprise proposal for me where he said that he was spending the day at a friend's place working on a hackathon. That weekend, my friends asked me if we could spend Saturday by a beach at California's Half Moon Bay. I quickly agreed, not knowing that I had one of the biggest surprises awaiting me there which would change my life. I reached the beach and saw a beautiful arrangement organized at one spot. Neeraj was waiting for me and when he saw me, he went down on one knee and asked me to marry him. It was a resounding 'Yes!' from my side." "We knew that we wanted to get married in Mumbai since it was where our families live and where we grew up. I got in touch with a couple of hotels via email since that is the most convenient way of reaching out and coordinating a wedding when you’re planning your big day sitting in another country. The St. Regis Mumbai was prompt in its replies from the very beginning. This was something that was important to plan the celebrations efficiently. To add to it, they had several venues and each one was better than the other. These factors made it very easy for us to zero in on this property for our wedding and the hotel's team did not let us down. They were very helpful and responsive and working with them was a breeze." "Our wedding was planned by our families, my best friend and me, so we did not feel the need to hire a planner. However, we did have a decorator and a very good one at that! All the setups at our nuptials were planned and executed by Saffron Decorators, and they were simply excellent. Through the process of planning they were super efficient and timely. They spoke to me for a while and understood exactly what I wanted. Once they had a clear idea about my expectations, the team was very proactive in suggesting ideas. All in all, I couldn’t have been happier about having them by our side on our big day. We sent out e-invitations to our guests as we felt very strongly about not having paper wedding cards because of the damage they do to the environment. We designed our wedding invites online at greenenvelope.com." "Our mehndi was hosted in the afternoon and was the first function in the lineup of events. While we didn't have any specific theme for the decor, floral arrangements dominated the setup. The highlight was the bridal seating area which included a canopy of pink and white flowers against an orange backdrop. For me, some of the most memorable moments from the function included seeing the joy on Neeraj’s face when he saw me dance, and seeing all of our friends together at the same time. All of them had flown in from all over the world just to celebrate with us, and that meant so much. Since I would be wearing lehengas for all my other functions, I wanted to wear something different for this event. So I opted for a crop top with yellow pants that had a waist cape attached. The outfit was designed for me by Cilvana and I thought it was stunning!" "Our cocktails and sangeet function had the look and feel of a Western black tie event. The decor aesthetics were very contemporary, and we did not make use of any floral arrangements. We had a large LED backdrop behind the stage, and that was the key highlight of the decor. Besides that, we used a lot of creative lighting that brought out the beauty of the ballroom at the hotel. Before the performances began, we aired a short film about Neeraj and I. Some of our close friends raised a toast to us at the occasion. The dress code wasn’t restricted to Indian wear. We were very mindful of the fact that our wedding was going to be attended by people who were not Indians and we wanted to reduce their pressure of needing to dress in an Indian attire for every function. I wore an ensemble created by Cilvana Designs." "I had always wanted to have an outdoor wedding. However, it just so happened that we were hosting our nuptials in a hotel in the heart of Mumbai with no open grounds of its own. Fortunately for us, The St. Regis Mumbai did have open terraces and the idea of hosting our pheras there was something that our decorators thought of too. Our mandap was decorated with yellow and beige drapes, and a few floral arrangements were included in the setup too. Since our wedding took place in December, the weather was perfect. I entered the venue under a 'phoolon ka chaadar' (floral canopy). I picked a red lehenga to wear for the wedding ceremony as I feel red makes a woman feel very bridal. When I saw myself in my ensemble, I knew I had made the right choice." "The same night we hosted the reception where the decor was designed to exude sophisticated charm. The outdoor section of the venue was decked with fairy lights, and it looked magical. 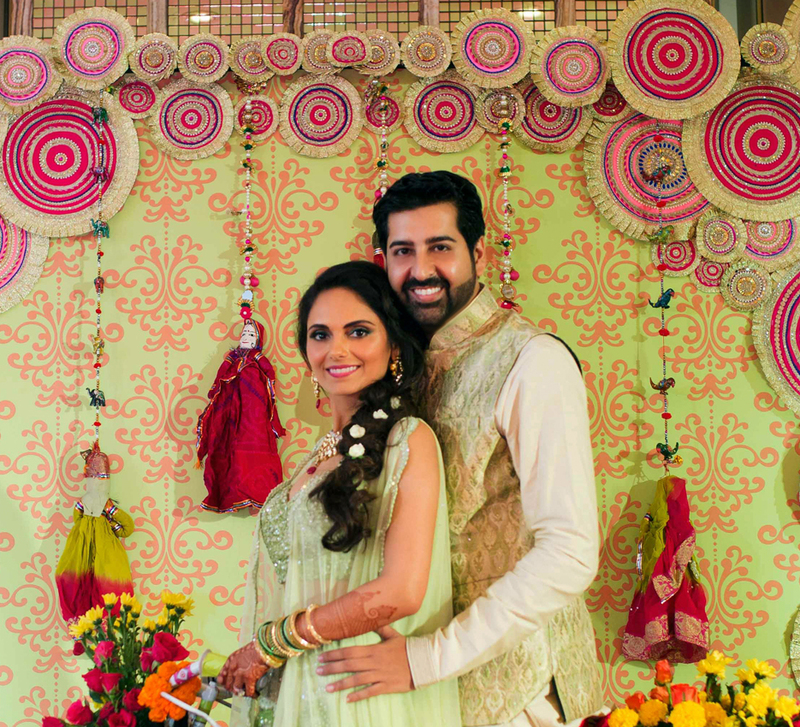 I wore a blue Shyamal & Bhumika lehenga that came with a peach blouse and mint green dupatta for this function." "Things will not go as planned, so don’t sweat the small stuff and focus on having fun. These are, after all, some of the best days of your life."